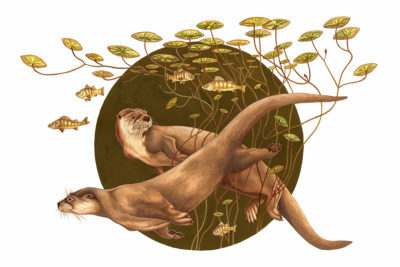 “Natural State,” an exhibit of paintings by scientific illustrator Rebecca Jabs, will be on view in the Steinhauer Trust Gallery in September and October. Jabs’ paintings document species from Wisconsin’s prairies, wetlands, forests, and sand dunes. She gathers inspiration through exploration of wild places, hours of birdwatching, and a desire to learn the names of flora and fauna and relationships between them.